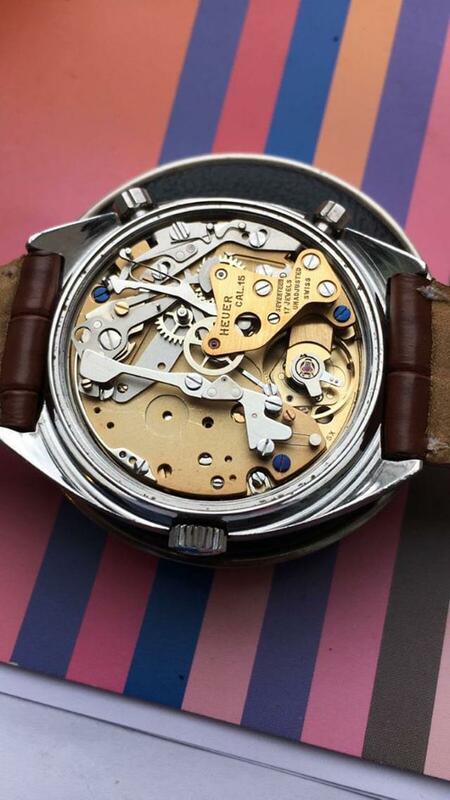 Movement was serviced by Bernard's watchmaker early last year. Has been worn only a few times since then. Keeping time well. Here is a pic of the movement from last year, that B sent me.